Four years and multiple feasibility studies in the making, Santa Fe Pacific Pipeline Partners wished to reduce their overall operational costs by relocating and positioned them attractively for sale. The corporation, a subsidiary of Burlington Northern/Santa Fe Railroads, was housed in 65,000 rentable square feet in downtown Los Angeles and relocated to a high-rise in the City of Orange. 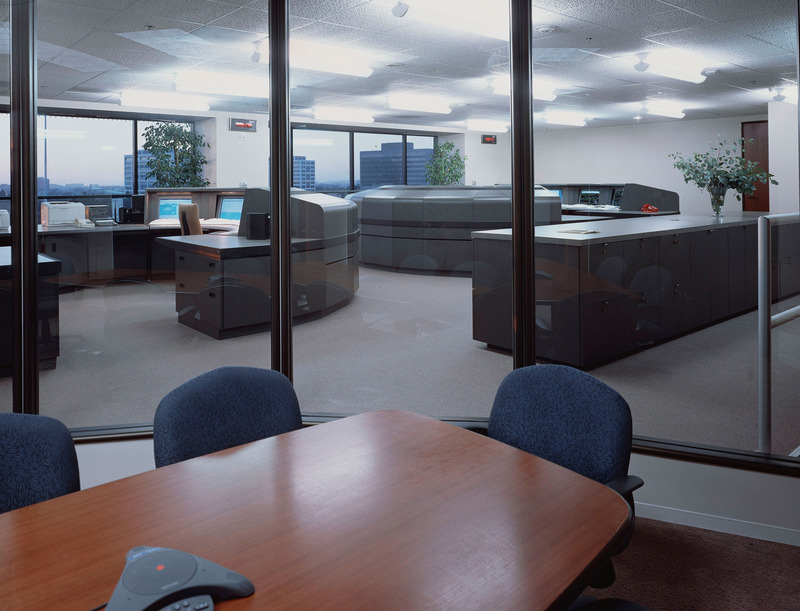 In the three floor project, the key design issues involved reorganizing the existing technical grades (and resultant workstation sizes and shapes); reorganizations within departments; to provide an attractive and functional Products Movement Center for the delivery of high quality client services and employee recruitment; to provide a technologically advanced Data Center surrounding new equipment investments; and quality power to all workstations. In negotiating the deal, the project costs were fixed by the real estate brokers, Studley, at a total of $35 per square foot; including all costs, furniture and construction. Even for the Orange county marketplace, the overall cost scenario was demanding. 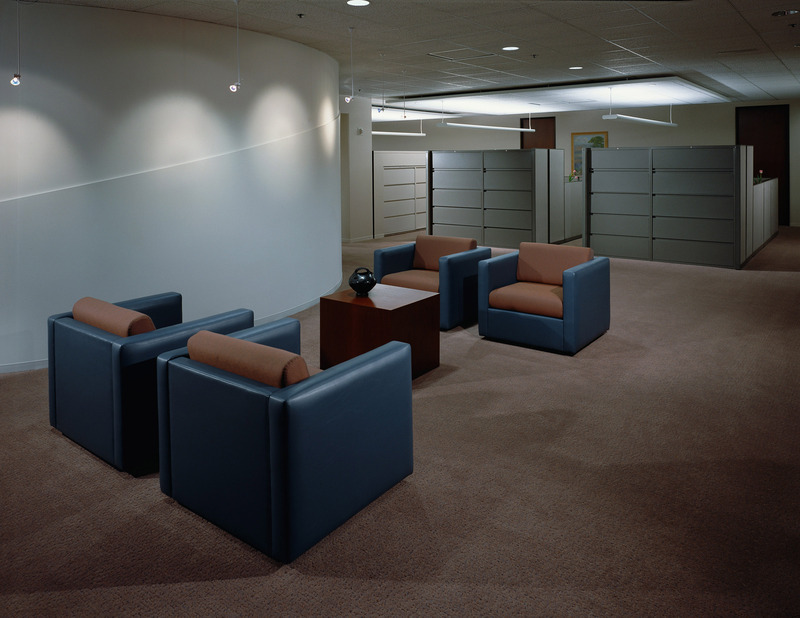 The design challenge was to maximize the reuse of construction materials found at the new location, to reuse existing Steelcase 9000 furniture systems, and to build the space within three and one-half months. A 24-hour Products Movement Center designed by JSDA and built by D-ray Tech, provides state-of-the-art tracking of product performance and delivery, supported by a 2,000 square foot Data Center equipped with it’s own FM-200 system, chilled water system, separate 30-ton cooling units, raised access flooring, on-site emergency diesel generator and underground fuel tank. Integrated card key access was installed for security. Dimmable ambient lighting provides quality lighting a networked PC’s and CADD drafting stations. Together with Syska & Hennessy, JSDA designed floating ceiling platforms that conceal return air, eliminating standard return air diffusers. Converted from existing multi-tenant space, the final sustainable design solution integrated reused re-ballasted 2 x 4 fluorescent light fixtures, ceiling tiles, grid, doors, hardware and raised access flooring. Carpeting and lighting fixtures were lifted by crane to achieve single production runs, insuring sustainable, lower long-term maintenance. Construction cost was under $27 per square foot. 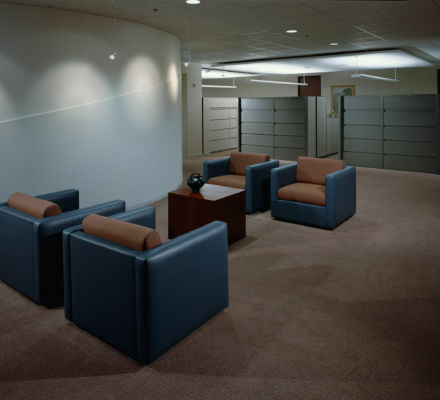 Existing systems workstations were recycled into reused systems furniture solutions with all new components from BKM, and reused panels. This low cost alternative created an environmental win-win and gave the project an opportunity for a new functional and aesthetic solution. The decision to go “reused” was made two months before to move-in. The design team had to move quickly. Compounding the challenge, the client moved the schedule to one week earlier than planned. J S D A, Inc. readily pulled over-the-counter permits with drawings stamped by a Certified Interior Designer (CID). Santa Fe Pacific Pipelines Partners Inc. moved-in on time and accomplished its goals of lowered operational costs through: rent reduction, streamlining of workspace standards; and productivity increases through reorganized departments. 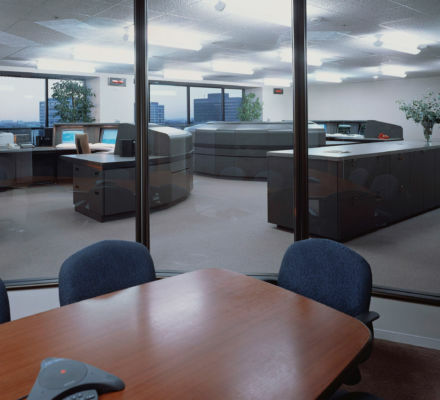 Although alternative officing solutions were considered which would have further reduced their operational costs, SFPP opted to exchange space at a net-even square footage in order to improve operational efficiencies. Aesthetic and functional advances were reinforced through centralized technology centers and a dimmable ambient lighting system. SFPP estimates that the rent reduction itself, the largest factor in cost control saves the company an approximate $50,000 per year, or $750,000 over the life of the 15-year lease. Given the improved efficiencies, new morale and state-of-the-art facility, Santa Fe Pacific Pipelines was bought out by Kinder Morgan approximately one year after the project was complete, achieving its original goal.